Kimjang Season Is Back Again! Yay, Kimjang season is back again! In Korea, people often set aside an entire day where the whole family helps out in making huge amounts of kimchi to last for most of the year. We call that event – “kimjang”. It’s been a year since our first post about kimchi last year. And just like last year about at this time, all the Korean shows on SBS and MBC are showing episodes of the crazy kimjang season in Korea. The radish, napa cabbage, pepper powder and garlic are selling like hotcakes they say. They say the price of the veggies are more reasonably priced this year, but pepper powder is twice as expensive as last year. So if you are planning on doing kimjang (however little it may be), be sure to make plans ahead of time and do it during those dates, following the Korean tradition! 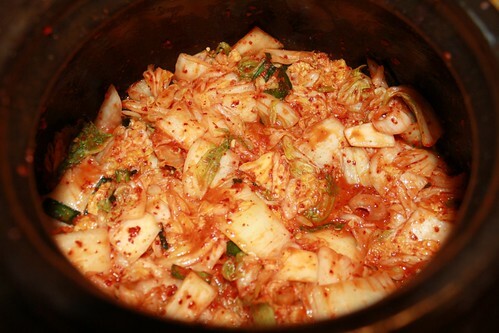 We’ll be getting our cabbage and radish this week to make our kimjang as well. Mia is so adorable, I love cats, does she like to eat the kimchi, that would amazing. Give her a hug hello from me! 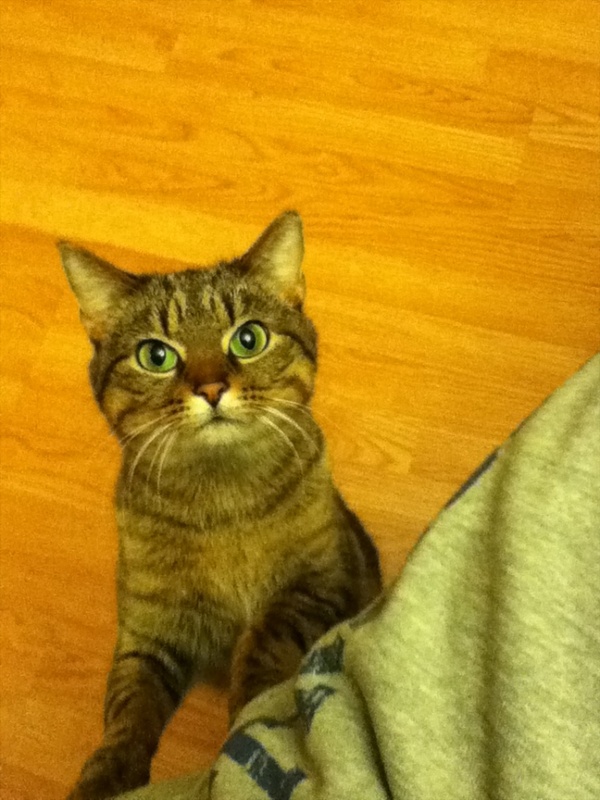 Although I love the photo of your delicious kimjang, nothing can compare with the photo of your darling kitty, Mia!